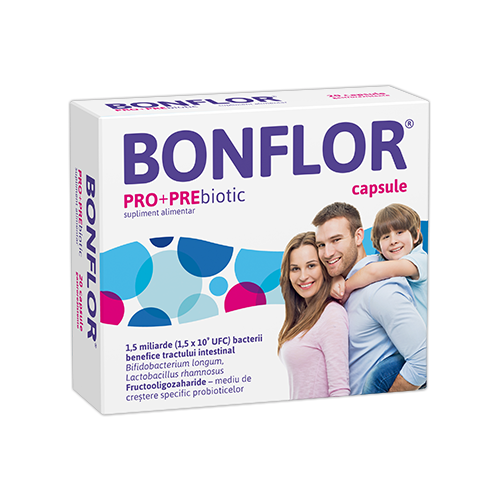 Bonflor® Capsules is a mix of lactic bacteria beneficial to a healthy intestinal flora and their specific nutritional support. It rebalances the intestinal flora during and after the antibiotic treatment. 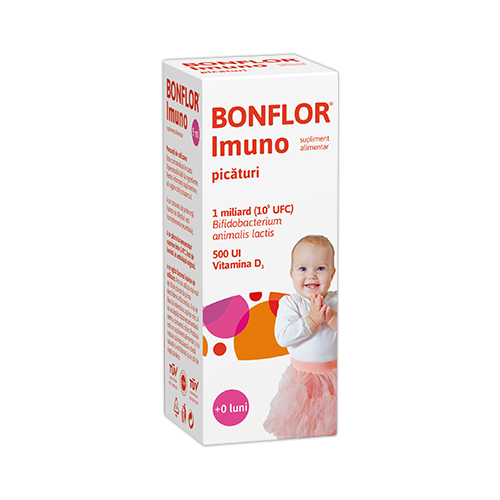 Bonflor® Imuno provides an intake of vitamin D and lactic bacteria beneficial to a healthy intestinal flora. It supports the development and proper functioning of the immune system. 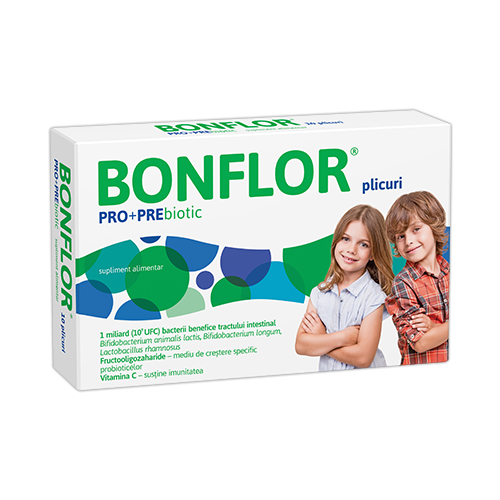 Bonflor® sachets provides an intake of lactic bacteria beneficial to the development of healthy intestinal flora. It supports the development and proper functioning of the immune system. It rebalances the intestinal flora during and after antibiotic treatment.